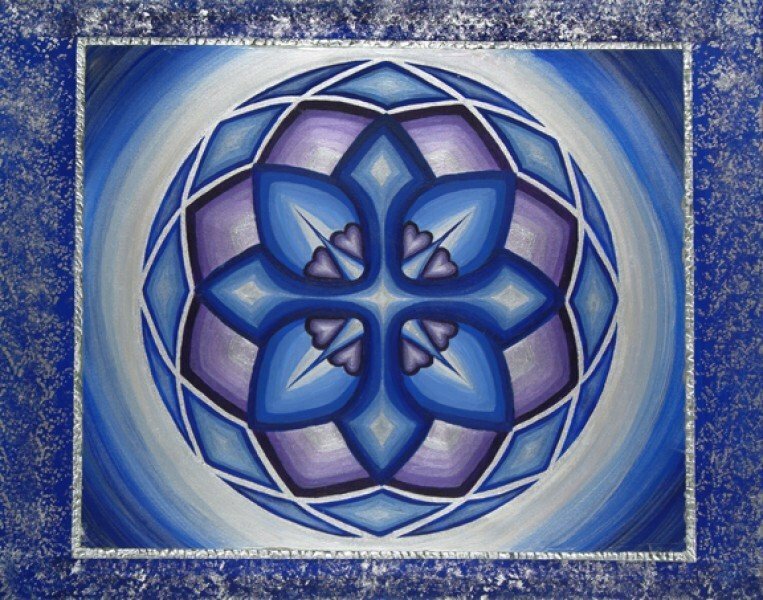 Sapphire Cross | Artwork – Store – Tammi B. Ph.D.
Hand painted mandala 22" x 28" acrylic, mixed medium and Swarovski crystals. A brilliant blue mandala created with the intention to align more fully with Spirit and to communicate with clarity, confidence and compassion. I can recreate this image in any color palette and other sizes.